Shock and mystery, I suppose, are at the core of the BL40's appeal, at least until someone actually gets to try one. For everything we do know, and can see reconfirmed here—the featurephone OS, the 5-megapixel camera, the 21:9 screen, the forward-facing videocalling sensor—there's a less observable thing that we don't: How does it feel in your pocket? Your hand? How well does browsing work? How does this phone deal with video that's not encoded for silly-wide displays? And until we find out that LG hasn't discovered clever and/or magical solutions to these potential issues, ogling is the order of the day. Sony X-Series Walkman Review: Why, Sony? Why? The Sony Walkman X-series is Sony's premium flash-based portable media player, packing Wi-Fi, noise-cancellation, a redesigned UI and a gorgeous OLED touchscreen. But can it compete with the reigning champ, the iPod Touch? In a word, no. That's not to say it isn't an impressive player in its own right. It handily beats the Samsung P3 and the Cowon S9, but I'm left wondering who would pick this up instead of a Touch. But if Sony were to stick this UI into one of their Sony Ericsson Walkman musicphones, they might have something powerful indeed. The X-series is a very sleek player, similar in size to the Samsung P3 and significantly narrower and shorter than the iPod Touch, though ever so slightly thicker. It's designed with an unusual aesthetic: The sides of the player are this odd sort of rough, glittery metal, similar to unfinished granite, and the back and front bezel are black glass with little shiny sparkles in them, like a granite countertop. It's a nice-looking player, certainly, and it feels very solid in the hand. I just don't totally get the granite thing—it's not spectacularly eye-catching. On the front of the X-series is the screen, an unbelievably responsive 3-inch OLED capacitive touchscreen, and a large "Home" button underneath the screen, much like the iPod Touch. The screen is crystal clear, the sharpest picture I've ever seen on a PMP—it lives up to the promise of OLED. Viewing angles are limitless, and touch response is great, without any lag at all. Unfortunately, that glass front and back are awful fingerprint magnets, though being glass, it does seem to resist scratching fairly well. The right side hosts the noise cancellation switch and a surprisingly cheap-feeling volume rocker. The top has the headphone jack and the pleasantly firm play/pause, track forward and back buttons, while the bottom edge is home to the proprietary USB jack. Interestingly, the hold button is a giant semicircle switch on the back of the player—it seems weird, but I actually love how easy it is to reach and how solid it feels. The numerous hardware buttons make it a very nice player to control in the pocket, despite mostly being touch-based player. 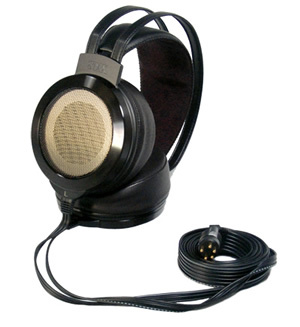 The X-series is one of the only PMPs with built-in noise canceling, but it only works with the included earbuds. Fortunately, said earbuds are excellent for freebies, and the noise cancellation worked perfectly on my noisy Chinatown bus ride between Philly and New York City. Noise canceling does slaughter the battery life, though, draining it twice as fast as regular playback. When you're trying to drown out the kind of crazies who take the Chinatown bus, you'll be glad it's there. Audio quality is a hallmark of Sony's PMP line, and the X-series does, in fact, sound great. It includes a customizable five-band equalizer for audio dorks and some nice sound enhancers like DSEE. On the other hand, you're limited to the lossy codecs Sony supports (MP3, WMA, WMA-DRM, AAC), so it may not be a good choice for serious audiophiles. The home screen has a familiar grid of icons, including Music, Movies, Photos, Podcasts and some more intriguing Wi-Fi-based apps like Slacker, YouTube and Browser. Navigating through lists of artists, songs and albums is very similar to the iPod Touch style with a grab-and-flick interface, though a fast flick leads the list to cycle through a lot faster than the touch, almost like there's less virtual friction, and we'd say it feels just a hair less exact. At the bottom of the Now Playing screen, there are four icons I've decided to term Back, Navigate, Web, and Options. The icons themselves aren't very literal: The Back icon is a bulleted list, and Navigate is a magnifying glass, so it's slightly confusing at first. But once you touch it, it becomes very clear what each button does, and I had no problems after that. The "Navigate" button is great: It'll bring up a list containing Artist, Album, Songs, etc that'll let you jump right to that list without having to hit the Back button four times. The iPod Touch doesn't have anything like it, and now I wish it does. The Web button is also really cool: It brings up a screen that'll let you search the track name, artist, or album with Yahoo or YouTube. The Yahoo search brings up hits like Wikipedia and AllMusic, and the YouTube search immediately brings up a ton of music videos, live concert footage and more to watch on the player. Pretty cool stuff. Oddly, the X-series will prompt you to re-connect to a wireless signal every time you try to do one of these searches, and though it remembers your password, it's still annoying. The X-series also includes an FM radio, and it's worth mentioning because it's one of the stronger FM tuners we've seen in a PMP. It's not like it'll change the way you think about radio, but it does as good a job as you could ask. The YouTube app is really great, quite similar to that of the iPod touch or iPhone except with a classy sheer black skin to match the X-series' aesthetic. Videos load quickly and are very clear and watchable, provided you've got a solid Wi-Fi connection. Slacker is another hit for the X-series, giving access to either the free or paid versions of the Pandora-like service with the same skin as the rest of the UI. It's super fast to load and sound quality is excellent. Unfortunately, Sony's only two for three on the web app front, and the most exciting of its new features is a major fail: Its internet browser—NetFront-based, like PSP and Sony Ericsson—is completely unusable garbage. All text entry is done via an infuriating T9 interface (why not just rotate to a landscape QWERTY? There's plenty of room!) that's inexact and totally unhelpful. Browsing full sites is an exercise in futility, as the two zoom buttons don't always work, you can't navigate before a site has fully loaded and tapping links is inexact and frustrating. Basically, it's worthless as a web browser, which is a huge disappointment. This image pretty much sums up the X-series web browsing experience. The X-series has both a MTP (Windows-only) and a UMS (shows up as a drive, compatible with Mac and Linux as well), though UMS must be switched on before each connection. That means it'll work with most any media player, save iTunes. Sony's "Media Manager" software is included, but it's pretty awful, very archaic and difficult to use, and won't convert video unless you pay for the "Pro" upgrade. That last part is a real killer for the X-series' video capabilities. Speaking of video conversion, you'll be doing a lot of it, since the X-series only supports a few video codecs and none of the common pirate formats (Matroska, XviD) are included, unlike the pirate-friendly Samsung P3. I used Cucusoft and was able to get a few MPEG-4 videos onto the player, but your average user will definitely have trouble figuring it out. None of the WMVs I tried would work, and I never was able to get a great-quality video on to test out what the OLED screen can really do. iSquint for Mac does work, but the quality, while totally watchable, is disappointing: On an OLED screen like this, you want to be blown away by video quality, and I wasn't. Audio codec support is disappointing too, considering the X-series' stellar audio performance: The only lossless format is WAV, which nobody will use due to its massive file size. Besides the preferred lossless formats, more niche codecs like OGG aren't supported either. The player has incredible capabilities, yet Sony cripples it by limiting its compatibility—they could have courted the audiophile market, but 320kbps mp3 files can only sound so good. The X-series, according to Sony, is a premium gadget and thus commands premium prices—coincidentally the same prices as the iPod Touch. The 16GB version costs $300, with the 32GB going for $400. The difference is that the iPod Touch comes with a massive App Store for boatloads of new features, not to mention an accelerometer, a web browser that won't make you long for the days of WAP, tons of accessories, and software that actually works. The X-series just can't compete with that. The X-series is a really solid player: The form factor is nice, the screen is incredible, sound and video quality are as high as these things get, and it comes with built-in noise canceling. If it were $50 cheaper, I'd have no hesitation about recommending it over the Samsung P3 and Cowon S9, but if you're spending at that level, you'd be buying the wrong machine if you chose the Sony. 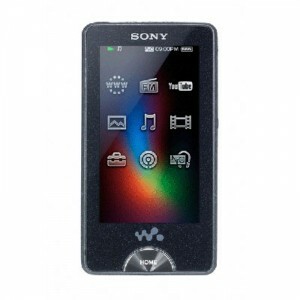 On the other hand, we do see a successful future if Sony put a phone version of this up against Nokia's XpressMusic. It could never be a smartphone, not in this shape, but it could be a great music-based dumphone. Sony understands that PMPs can't just be PMPs anymore: basic iPods aren't selling like they used to, and the Touch is part of a mobile computing platform. But to just stuff in some Wi-Fi features without thinking about software expandability or even a usable browser—that's not going to cut it these days. Sadly, despite all the things the X-series does right, it's emblematic of Sony's current slide into muddled mediocrity. BlackBerry Storm price dropped to $99.99: Is that enough? With the mixed reviews of the RIM BlackBerry Storm, it’s no surprise Verizon Wireless has dropped the price from $199.99 down to $99.99 — with contract, of course. But is that enough to get you to sign on to a two-year plan after reading all the negative reviews. Could Verizon Wireless be readying itself for a new phone in the Storm line? If so, it would make sense that the company is doing the ‘ol “out with the old, in with the new” maneuver. But, how many people are going to fall into the lower-priced Storm trap? It seems to me that the wiser decision would be to wait for the next version — said to be named the BlackBerry Thunder — , which will hopefully be less buggy. Although it’s not the new version, an iPhone 3G is $99.99, so who would want to purchase a Storm, when it’s known to have some issues? How low would Verizon Wireless have to go to get you to sign on for a two-year contract and pay $100 for a Blackberry Storm? Tell us in the comments below. Conversely, if you’re a proud Storm owner, tell us why you like it, and why other people should snag the deal. Remember when love was simple and relationships were cheap? Now, to give a girl a mixtape, you've gotta buy an iPhone, 2-year AT&T subscription and this $30 case—plus like $12.99 in Journey MP3s. Last month, we got some hands-on time with Wii Sports Resort, the first-party Nintendo game that comes bundled with Wii MotionPlus. While most of the minigames are new, you'll recognize a few classics from the original title such as golf and bowling. That aside, there's a lot of new activities in Wii Sports Resort, all of which take advantage of Wii MotionPlus (which were viewed earlier this week). During our demo, we especially enjoyed our time with Table Tennis and Archery. After playing with the final version for about a week now, Table Tennis remains among the highlights of the game. The capability to perform top spin and fades on the ball makes for a very satisfying experience. We also enjoyed the Frisbee game where MotionPlus really shines. You have complete 1:1 control over your character's toss, in which you must have a dog catch the disc in a bull's-eyed area. Wii Sports Resort comes bundled with one Wii MotionPlus attachment and rubber sleeve and is available July 26 for $50. Additional Wii MotionPlus units are available now for $20 each. These are just two of the gazillion new made-in-China cases for the new iPod touch and iPod nano. And as all of them show, both devices will have cameras. The iPod touch's camera is at its center, on the top. According to Leander, the Chinese factories are already sending samples to distributors. Head to the Cult of Mac to see every single one of these cases. It's hard to believe than anyone would have spend so much money in making all these unless they already had the specs. Everybody's getting into hardware lately, so it's not shocking Skype has its own headset. The idea is that it's cheap (under $25) and USB powered, so your Skype calls don't sounded like blended kitties. Well, we've already had a pretty good indication that Motorola's MorrisonQWERTY slider would be one of the company's planned Android phones, and it looks like most all doubt has now been put to rest courtesy of this shot of what's purported to be a Motorola employee's very own Morrison. In addition to offering us a better look at a slightly more refined version of the phone, it also quite clearly shows it running Android, and it does indeed appear to be the real deal. As you can see above, it's also still sporting that T-Mobile logo, though we're still not hearing anything different than the previous rumors that it's slated to launch on the carrier by the end of the year. According to online directory and download service GetJar, mobile applications, also known as apps, will become "as big as the internet", peaking at 10 million apps in 2020. How important are apps to you in your daily life now? I’m constantly being pitched apps by developers, for the iPhone, Symbian and Android. Personally, I have a few apps installed on my iPod touch and Nokia E71, but apart from the Google Maps app and Opera Mobile on my E71, I really haven’t come across anything that offers me much beyond temporary novelty value. I’ve some nice games installed on my iPod touch (Bejeweled and Doom Resurrection) sucking away my free time, but there’s nothing I couldn’t live without. What’s more, I’ve not seen anything that I’d part more than a few bucks on. While I’m pretty unmoved by apps, I know others who have dozens installed and flip between them all day. These people seem to use apps to access info on the web more than they use the browser. To these folks, apps seem to be an important part of the mobile experience. I’m pretty sure that Apple’s iPhone has allowed apps to jump Moore's Chasm, but it’ll be interesting to see if they achieve long-term traction. I was put off apps for mobile devices back in the days of the HP iPAQ when upgrading the device meant having to spend more cash on apps, or finding that some apps weren’t available for a new OS. So far Apple has managed to prevent fragmentation of the iPhone platform, but this can’t last forever. Once a new device or OS update starts killing older apps it’ll be interesting to see if people will be willing to flex their credit cards for a second time around and re-purchase apps. For a device that took a solid year to go from "debuting at E3" to"shipping", we're pretty surprised to see that Nintendo's Wii MotionPlus held as much steam as it did. With overall video game sales dropping in June for the first time since 2000 (when looking at year-over-year figures, anyway), the Big N still had a few hundred thousand reasons to smile. Aside from the 361,700 Wii consoles and 766,500 DS units that shipped in June, the company also managed to sell 169,000 Wii MotionPlus dongles -- and that's not including the ones that were packaged withTiger Woods PGA Tour 10, of which 272,400 units were sold. The real kicker, however, is that the accessory's real partner in crime (that'd be Wii Sports Resort) has yet to be released. It's good to be king, ain't it Mario? Sure enough, that mysterious baby brick sitting next to the stretched-out BL40 is a direct followup to the last generation of LG Chocolates, called the BL42. 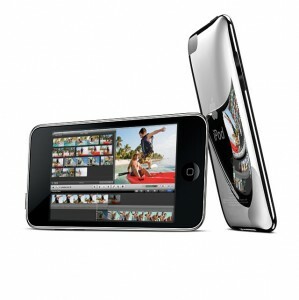 The 3G slider is rumored to have a 240x320 display and a 5-megapixel camera. The alleged specs aren't much to get excited about, but make no mistake: This will be a popular phone. It's a proud grandson of the line's earliest models—with a slightly touchier front panel and (barely) tweaked styling—which sold about 10 million handsets wordwide, and continue to do well, despite being, well, old. Its beanpole brother can take care of the innovating; lil' 42 can take care of the money. No price or availability yet. Documents seen on the FCC site provide some details about the LG GW600, a new Windows Mobile phone that has GSM/WCDMA 850/1900, Wi-Fi, Bluetooth and a microSD card slot. The draft user manual mentions a number of features, including GPS, a 3.1 megapixel camera, proximity and light sensors, and Video Share, a known AT&T service. It also mentions an accelerometer, flick gesture controls, and the use of a stylus, which makes the GW600 a touch-based device with resistive technology. Pictures show that it has a 20-key SureType style keypad and standard USB and audio jacks. Neither LG nor AT&T have confirmed or announced this phone. You might recall the Samsung Comeback — though its name was unknown at the time — from a group of four T-Mobile-bound headsetswe spied back in early May. Sure it was likely the least interesting of the group but you’ll be hard pressed to find a T-Mobile subscriber who isn’t at least somewhat excited when news of a new 3G handset rolls around. Well T-Moblers, the next piece of the puzzle just fell into place as the complete specs of this little QWERTY have been uncovered. Highlights include the QWERTY keyboard of course, a 2 megapixel camera with video capture, microSDHC support, integrated email and IM support, Bluetooth, 75MB of internal memory, a 960 mAh battery and a pair of low-quality displays. Oh, and let’s not forget 1700MHz 3G. We’d say this little guy has the potential to make a decent showing with the tween demo as long as we see a price tag around $50. Hit the jump for the full specs. All credits and information was found by boygeniusreport. That's what Cnet's resident audiophie Steve Guttenberg says about the WooAudio WES Electrostatic Headphone Amplifier and Stax SR-007Mk2 Electrostatic Headphone. A $7000 mouthful, but hey, it's cheaper than $100,000 speakers. This whole global economic crisis, and its resulting massive loss of jobs got us thinking. We here at Engadget didn't want to stand helplessly by, announcing every new round of misery without giving anything back -- so we decided to take the opportunity to spread a little positivity. We'll be handing out a new gadget every day to lucky readers until we run out of stuff / companies stop sending things. Today we've got eight (8) LG enV3's (in blue and maroon) for Verizon Wireless up for grabs. Read the rules below (no skimming -- we're omniscient and can tell when you've skimmed) and get commenting! Hooray for free stuff! Samsung has partnered with T-Mobile Europe and the Elite Model Management agency in order to launch two special edition phones: Samsung Elite Preston S5600, and Samsung Elite C3050. Both handsets will be soon available in the Netherlands, coming in exclusive white versions. The Samsung Elite Preston S5600 is offered together with aCharming by Ti Sento bracelet, while Samsung Elite C3050 comes with a Charming by Ti Sento phone strap. This being said, it’s obvious that the phones are targeted at women and girls. All credits and information was found by unwiredview. We just got a look at the myTouch 3G, and while it's great to see T-Mobile's next Android phone all official and everything, there are certainly few surprises for those of us already familiar with theHTC Magic / Google Ion. We found ourselves, despite the best knowledge otherwise, still looking fruitlessly for a 3.5mm headphone jack -- it was silly that the G1 didn't ship with it, but this year it's downright shameful. At least the included adapter is nice. Please,HTC Hero, come and save us from this madness. Fresh offour play time with the Hero, we found the stock Android 1.5 keyboard to be quite a bit of a step back. It's certainly usable, but we found ourselves missing the spacebar quite a lot, and the responsiveness just wasn't at HTC's level, though prediction was pretty good. The included zippered case is nice, though we don't know what we'd use it for, and the unboxing experience is generally pleasant and uneventful. In a lot of ways, the phone seems like a last generation product, but it's obviously the only one of its kind available in the States at the moment, so we suppose T-Mobile would beg to differ. Every single cover we've seen so far looks completely horrible, and while it's nice to have "options" (T-Mobile's big marketing play with this phone) we'd think twice before putting a pic of our dog on the back of one of these. Perhaps the best news making the rounds is that T-Mobile is thinking about putting a visual voicemail app in theforthcoming app pack, though it wasn't pre-loaded on any of the handset we checked out, and apparently the app pack is more of a curated Market than a single app combo download. Peep an enthralling video of the hardware after the break. O2 To Offer First Samsung Android Phone In The U.K.
O2 has confirmed that it will be offering UK customers the Samsung i7500, Samsung's first Android phone. O2 seems determined to dominate the UK smartphone market. It has the iPhone, it’s strongly believed to have gained the franchise for the Palm Pre, and now it’s confirmed that it will be carry Samsung’s first Android phone, the i7500. The handset appeared in the company’s in-house magazine, and O2 confirmed to ZDNet that it will carry the phone. However, there’s no word yet on whether O2 will have an exclusive on the handset, or how much customers will have to pay. All that’s for certain is that it will be on the market in the next two months. SIRIUS XM Radio today announced its application for iPhone and iPod touch has been downloaded over 1 million times from the App Store. The milestone was achieved within 2 weeks of availability. All credits and information was found by mobiletechnews. The launch of Apple’s new iPhone 3GS was the best sales day ever for AT&T’s retail stores, while the number of orders taken at its online store also hit an all-time high, according to an internal memo obtained byMacDaily News, a Blog devoted to all things Apple. While the memo doesn’t outline the precise number of devices sold, it does reveal other details. All credits and information was found by gigaom. Akamai today said it would provide adaptive bit-rate streaming to deliver video content from web sites to the Apple iPhone 3G and devices running the iPhone OS 3.0 operating system. Basically, using adaptive bit-rate streaming means folks can watch streaming video on their iPhones or iPod Touches with fewer stops and starts. Adaptive streaming adjusts the video content to a lower or higher bit rate, depending on how robust the web connection is. Akamai offers a similar service for Microsoft's Silverlight for video on PCs. Adobe Flash and Move Networks also offer adaptive bit-rate streaming, although Adobe uses aproprietary method that requires special servers. Apple and Akamai are bringing the service to the mobile world, which will be great for dealing with the many variances in mobile data connections, and will provide for smoother video delivery over dodgy networks. Videos can run in the Safari browser, so they don’t even require a special app that AT&T, the carrier that provides service for the iPhone in the U.S., might try to block. For more details on this, check out the awesome storyLis did about HTTP video on the iphone or her in-depth look atadaptive bit-rate streaming over at our subscription site, GigaOM Pro. For pretty video streaming, check out Apple and Akamai’sshow-and tell site. Mobile phone sales are going to decline sharply over the next five years, to the tune of 1.04 billion devices, according to Informa Telecoms & Media. In its new report, “The Financial Crisis: Analyzing the impact on global mobile markets,” the research firm has revised its forecast for device sales over the next five years down by 14 percent. Some 6.39 billion devices are forecast to purchased between now and 2013, Informa said, vs. its previous expectation that 7.43 billion devices would be bought. For 2009, Informa revised its forecast for the number of mobiles phones that will be purchased down to 1.12 billion devices from 1.32 billion. This is a brutal revision for a business that has always been about furious growth and razor-thin margins. The downshift in overall device sales is one of the reasons why companies are shifting their attention away from low-cost devices to smartphones andan emerging category of devices I like to call superphones. Devices such as Apple’s iPhone sell fewer units but have higher profit margins. A recent surge in demand for RIM’s BlackBerry devices and more recently, HTC’s Android-based smartphones show that the incumbents such as Samsung, Nokia and LG are lagging in this higher end of the market. No wonder they’re redoubling their energies to focus on it, as evidenced by Nokia introducing a brand new line-up of its higher-end (and higher margin) N and E-Series of devices.